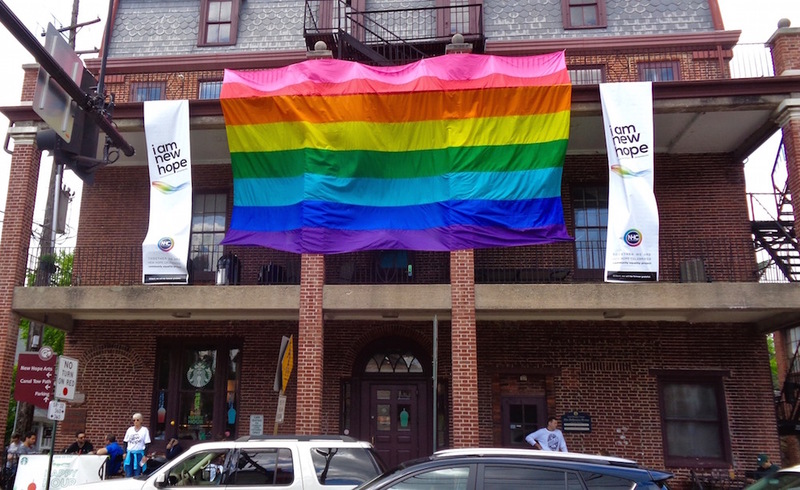 New Hope Celebrates will host the 2019 Annual NERP (Northeast Regional Pride) Conference held by Interpride, an organization that unites Pride organizations throughout the world. With the theme “Celebrating our past, Planning our Future,” the event marks the second time New Hope Celebrates is hosting the conference, which will be held from Thursday, March 7, through Sunday, March 10. Workshops are planned at the Raven Resort in New Hope throughout the days. Noted author and founder of the Philadelphia Gay News, Mark Segal, will be the keynote speaker. Segal was present at the Stonewall Riots in New York City, and is a founding member of New York’s Gay Liberation Front. He also founded the first National LGBT Youth Organization. Segal has spent his life fighting for AIDS awareness and is a nationally respected LGBT activist. This year marks the 50th anniversary of the Stonewall riots and the beginning of Pride festivities around the world. After attending workshops, entertainment is planned at night with a dance party and drag show at the Raven Resort, and the schedule also includes time for attendees to explore the streets of New Hope and Lambertville. Information about registration fees, workshops, the schedule, accommodations and transportation is available online.